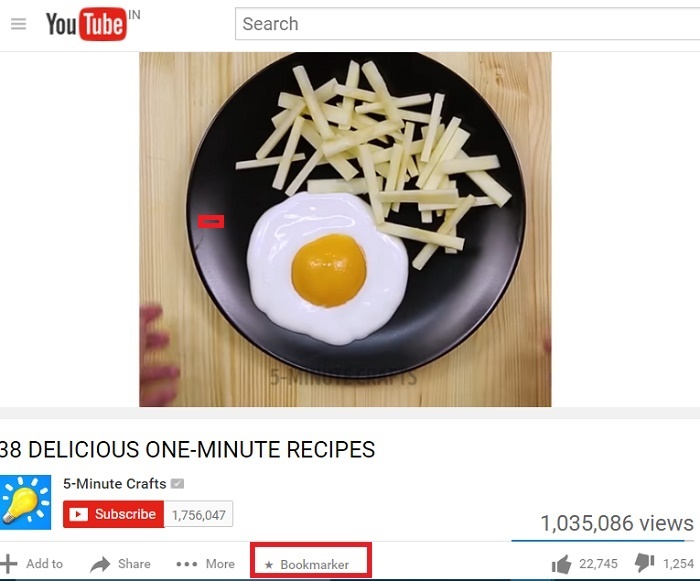 Home > News > YouTube Bookmarker: How To Add Bookmarks To A YouTube Video in Chrome? YouTube Bookmarker is a handy and useful tool for bookmarking your YouTube videos. One specialty of the extension is that you can can bookmark an entire video and also a small clip from the video. 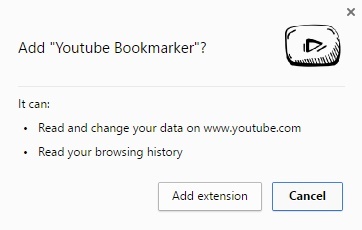 All you need to do is download the extension and add it to Chrome. Then mention start time and stop time from the bookmarker. The developer has described the extension as following: A clean bookmarker placed right next to your YouTube video, so that you can easily bookmark your favorite parts of the video. You can use these bookmarks to quickly go through those clips without watching the whole video again. To open the bookmarker, you simply have to click the “Bookmarker” button placed alongside the “Add to” and “Share” button. The bookmarks are synced with your Google Chrome account, so you can view your bookmarks when you come back to a previously watched video. Checkout the demo video and the screenshots on the left to help you get started. 2. Click on Add to Chrome to add the extension to Google Chrome. 3. The extension will be added. A new icon will be included in the extension line and the icon looks like the YouTube play icon. 4. Now open YouTube afresh. Play any video o your choice, you will find the Bookmarker icon beside Share icon, as shown in the screenshot. 5. Click on it. A new panel will open in the right hand side. It will give you a Start Time and a Stop time. You can bookmark not only the entire video but also a portion of the video. To bookmark a clip of the video, specify the start and stop time. Now click Save and you are done.